Bellbrook has always been known for its great fly-fishing and trout fishing but it is also known as one of the prettiest fisheries in the country. 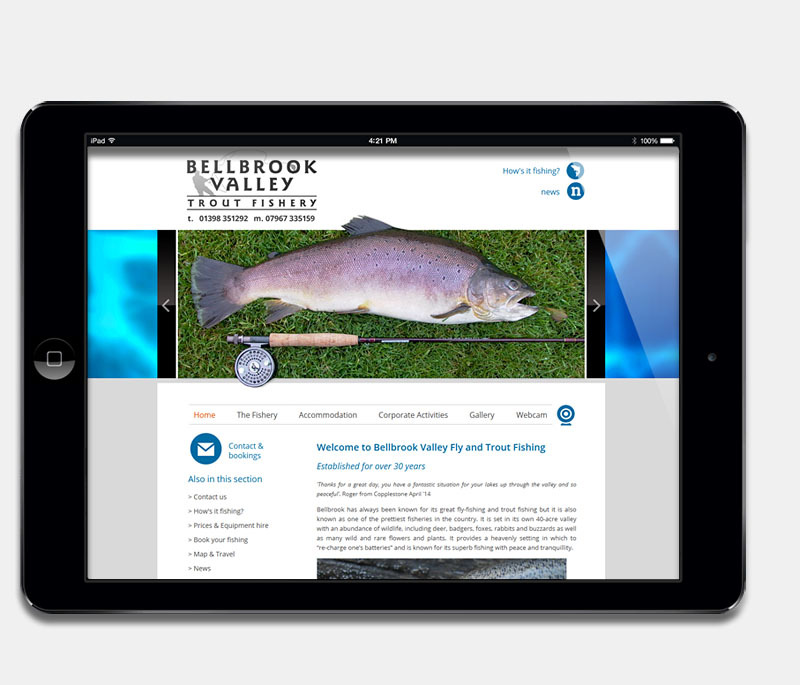 Bellbrook Fishery approached us to completely redesign their existing website with a focus on embodying the core values and surroundings of their beautiful and tranquil fishery. We created a fresh new site, that typifies the great outdoors and showcases the many lakes and locations which prove so popular with the fishery's many visitors. Based on the latest Drupal CMS, the site contains a number of additional features, including a custom designed bookings and accommodation system and events calendar, as well as the usual client editable content, images and galleries.